GLEN Circular Ceiling Lights from ESR are sure to add style to your Home or your Office. 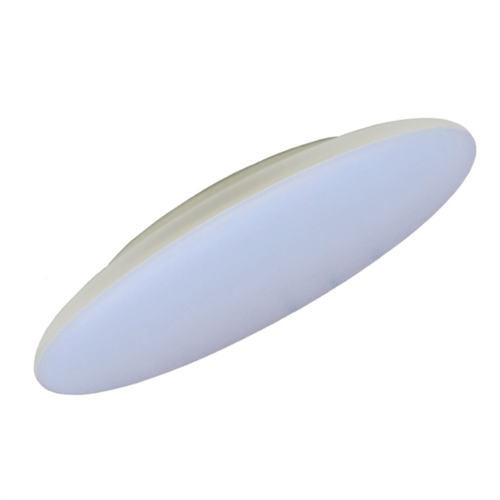 This IP40 Cool White fitting comes with a super slim design, useful for places with low hanging ceilings. With an average Lamp Life of 40,000 Hours, we estimate this bulb will last 4.5 years! The 12W Light fitting is sure to save you money on energy costs. With an IP Rating of 40, This circular ceiling fitting is suitable for Indoor use only, with protection for object bigger than 1mm, i.e wires. This Fitting would be suitable in a domestic or office environment. This circular ceiling fitting has a cool white light finish and is highly efficient. 40,000 Hours Lamp Life ensuring you dont have to worry about replacement bulbs for a long time.